Prof. Shoji Shibata (1916–2016) left behind remarkable achievements in the field of the history of pharmacy. 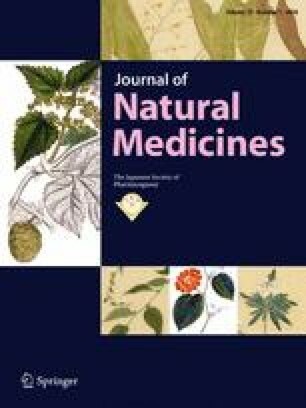 Among those, the scientific survey on medicines preserved in Shōsō-in, globally known as the World Cultural Heritage, is of particular interest, drawing wide attention from scholars to the general public. Its most spectacular and also shocking study in the field of pharmacognosy will be the one on the true origin of Kōboku (Houpu) that seems quite ordinary from its name. Prof. Shibata revealed that it is of juglandaceous origin that is completely different from what is known today under the same name. Juglandaceous Kōboku, which came into wide use in China at that time, was neither a homonym nor adulteration according to the pertinent description on this medicine in Chinese herbal books, and, furthermore, was regarded as authentic even at the Song Dynasty. In the Nara period of Japan, the name of Kōboku is not found except for the archives preserved in Shōsō-in, while the name of Hoogashiwa, an old name of Hoonoki (Magnolia obovata), appears only in “Man’yōshū”, Japan’s oldest anthology. Therefore, Hoonoki was not recognized as Kōboku at that time. Interestingly, this fact is also reflected in “Man’yōshū”. In the epigraph of two poems including Hoonoki, the Japanese name is used instead of the Chinese name that should be employed in principle. The historical circumstances of “Shōsō-in Medicines” will also be outlined with elaborate and reliable evidence. The author is grateful to Waseda University Library, Tokyo, and the Shōsō-in Office, Imperial Household Agency of Japan, Nara, respectively, for kindly approving the use of photographic images in this paper.